I would be remiss if I didn’t suggest my own books this month. As an aside, today is my FOUR-year soberversary! If God hadn’t changed my life four years ago, I don’t know if I would be able to say I published two books. Being sober has changed so much of my life and I’m so thankful that reading more and writing more is included in that list. I have found my voice through this blog and my books. YOU my readers, have in many ways changed my life. Your interest in my alcoholism has encouraged me to pursue writing a book about my experiences. Your blog views have meant the world to me. 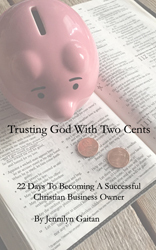 My first book, Trusting God With 2 Cents: 22 Days To Becoming A Successful Christian Business Owner, was quite a journey. I learned so much about myself, writing, and what God has to say about work while writing. It started in one place (very much about ME and MY experiences) and ended in a completely different (very much what GOD says about work, and very little about me). I always said that I would consider that book a success if just one person was impacted. If you check out the link above, you’ll see a wonderful review. That book is a success to me. Earlier that year, 2016, we took our fourth cross-country road trip. That trip changed me in so many ways. The biggest was my love of road trips was rekindled and my desire to share the joy of more travel was set ablaze. The worst thing I hear is “I’ve always wanted to do that, but….” I want to grab folks and say, that’s just not true! 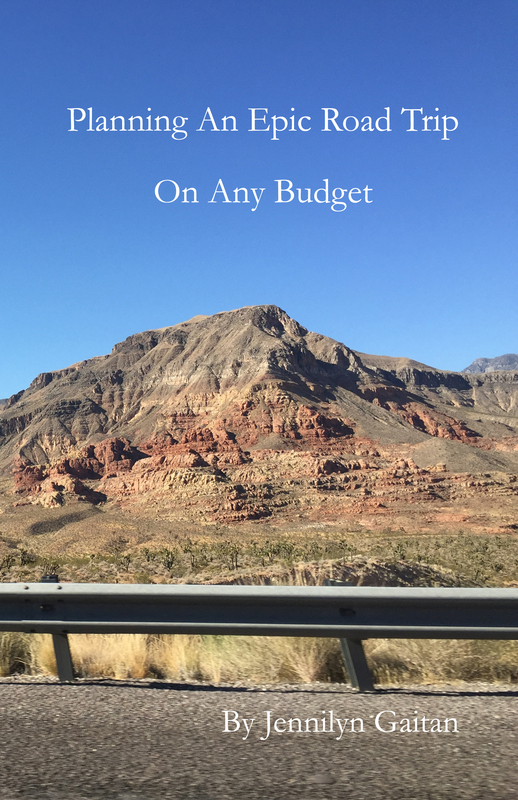 I started my journey in sharing my knowledge about road trip travel in my second book, Planning an Epic Road Trip on any Budget. I also started my road trip community on Facebook. I definitely see that book as a success as well because of the folks who have made changes in their travel lives because of it. I’ve loved growing with my community and sharing the joys of planning for and taking trips. If you want some help planning a road trip, come join us! Even if you haven’t (and aren’t planning on) buying/reading one of my books, you showing up here on my blog means so much to me. I’ve blogged before about wanting to stop some days, but it is you, my dear readers, who help me to carry on. You are a part of my growth as an author and a blogger. Thank you. I mentioned Mother Bruce as a book to check out last week and when going to the Amazon site to get my affiliate link, I noticed there was a NEW book in the Mother Bruce series! Santa Bruce* by Ryan T. Higgins was another wonderful journey into Bruce’s life. Poor Bruce has had many cases of mistaken identity and every one has been a joy-filled journey. I’m so glad to have found this series last year. If you’re looking for a new book to read to your kids, this is the one for you! One way you can skyrocket your read count is by reading shorter books, whether it’s a kid’s book or a commencement speech or even a graphic novel. If you’re having a hard time reading, this can be a great alternative for you. I’ve talked about how I read 200 kid’s book one year and it was really educational and encouraging. I’ve read a few graphic novel biographies, which is another way to get some learning in too. Here are a few of my favorite shorter reads. This one right here is my favorite out of the bunch. I just love Momo and the places Andrew photographs of the hiding! I realized yesterday that all the best book recommendations in the world are useless if you don’t figure out one thing first – how to read more. Looking back, I should have started this month with tips, but ah, hindsight. So here are some tips to help you read more. – Make it a priority and do it first, or as early as you can. One thing I do almost every day is read from three different books. Even though I only read 2-10 pages from each book, it still adds up. – Make it fun. When I set my huge goal of reading 300 books this year, I hit a point where reading was just not fun. I found myself reading like I was in school. If you’re not having fun reading, change things up. – Stop reading a book if you don’t like it. This was a big shift for me over the past few years. I can sometimes tell in the first page or two if it’s a book for me. Sometimes I’ll stop after 50-100 pages (oh how hard that is when I’m trying to up my read count!) Sometimes a book will stress me out and I’m like, dude, why would I put myself through this? – Listen to them. Audiobooks are an amazing thing and can really help increase your read count. You can listen while doing the dishes or driving or while taking a walk or cleaning. Make sure to listen to a little bit of the book before you dive in. A good reader can make a hard book much easier (I finally read The Book Thief because of listening to it). – Join a book club. This is one thing I haven’t done yet, but I think I might enjoy it. Though, my reading tastes change a lot, so it might be harder for me to HAVE to read a book at a set time. – Do a reading challenge. I have had SO much fun doing reading challenges this year and last. They help to open your eyes to new books you might never read without the challenge. – Join Facebook groups. I’m in a few groups based around the reading challenges. Oh friends, that took my reading to a new level! I found people who loved to read as I did. Having a community to share your experiences with adds such a new level. – Have your books where you’ll read them. I have a stack by my bed. I have a stack next to my computer. I have audiobooks on my phone. I have books on CD from the library in the car. – You tell me. What do YOU do to read more? Let me know in the comments below!